An official website was launched on Sunday to announce that an anime adaptation of Liber Entertainment Inc.'s I★CHU idol smartphone game, titled I★CHU Étoile Stage, is in the works. Animation production and planning company Twin Engine also posted a promotional video. More information regarding the anime will be revealed at a later date. Liber released the idol game on iOS and Android platforms in 2015. The game features 32 idols who attend the Etoile Vio academy and sing their own original songs. The company plans to release a second app with the same name as the anime this fall. This made my day aaa ;A; been playing the game since it was released! Looks like a great game. I would like to give a try for it. lol! Yeah but.. i want an Anime Adaptation about Yumeiro Cast. My heart is broken since 15 January, the days that have closed the server. I Think this brand can offer more than this. @Sasayaki05 I've fixed the number. Thanks! Noticing a lot of male idol series getting anime series. Must be very popular in Nippon, I mean I knew that the idol stuff is very popular but... It was mostly on the female idols. As for the series itself, I can't get myself to care about it. For one thing it's a game adaptation therefore its automatically trash imo. And I've kinda given up on being "idol trash". This is wonderful news! I'm really excited for the anime, though getting used to everyone's new artstlye is going to be a bit.. weird? I still love it, though. They all look nice in the new style. But you made a mistake. It's not 42 idols, but 42 characters/voice actors. Idols are only 32 in total. thank you Liber for my life ;-; i'm really scared that it will be bad (and sad that roa isn't voicing tora U_U... i love him) but aah so excited!!! Is this real life? I can't believe it's happening omg teaser PV is so beautiful. Yumecast anime when? I'm not giving up. IT FINALLY ACTUALLY HAPPENED ;________; if idols are your thing please give it a chance!!! OH MY GOD!! I'M SO HAPPY!! I've been playing this game for over 2 years and I never thought this day would come because its just not as popular as other idol franchises. 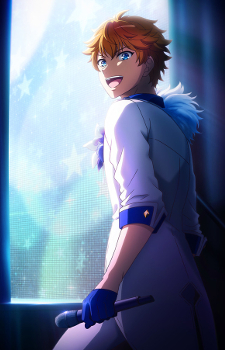 I'm sure a lot of people are gonna think "oh, another idol anime" and that's fair but I honestly don't care. For someone like me who's been into this franchise for 2 years this is such amazing news. I know I'm rambling but I'm really excited. Looking forward to more info being revealed!